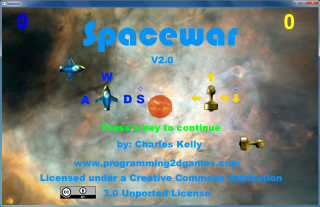 The Spacewar game using the ship model from the cover art by Nicholas R. Wilson and a ship model created in Blender by the author. The game has a resolution of 1280x800. A game inspired from the book cover art. This is version 0.8. It is not a complete game. Demonstrates the use of sprite scaling to simulate 3D depth. A 4x4 and 8x8 sprites are displayed. Move left and right with the arrow keys. Change scale with + -. 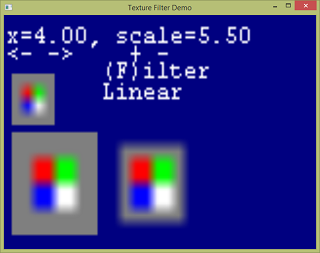 Change the pixel sampling filter with F.
Demonstrates the effect different texture filters have when drawing sprites. The right 8x8 sprite has a 1 pixel wide transparent border. 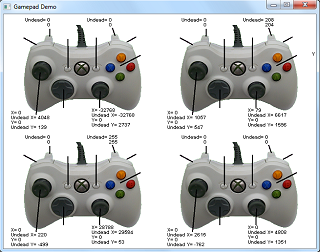 Displays the state of the analog and button inputs on the currently connected controllers. The number of particles may be set. 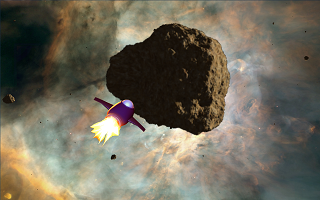 The particles may collide with other objects. 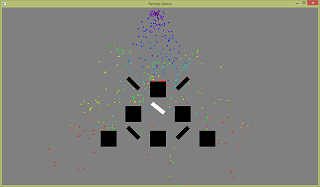 Each particle may be animated. The particle creation rate may be varied. The particle Max and Min life may be set. 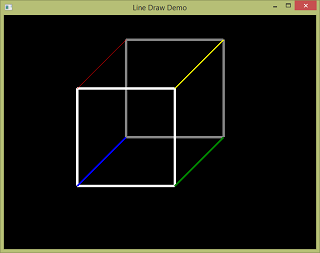 Demonstration of the line drawing feature in v3.5 of the game engine. See graphics.h file for line drawing options. 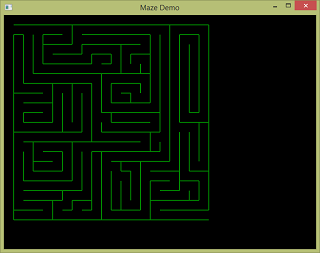 Generates a random maze. The size of the maze is specified in mazeDemo.h. Uses the line drawing feature in v3.6 of the game engine.